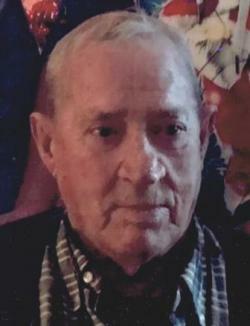 Edward J. Allen of Pine Glen passed away at his residence on Tuesday, February 05, 2019. Born in St. Brieux, Saskatchewan he was a son of the late Bernard and Virginia (Barron) Allen. Survived by lifelong companion, Faye Crawford; sons: Pat (Shelley), Mike (Shelly), Darcy(Muriel), Bernie (Nancy); step daughter, Shelley (Pete); five sisters; two brothers; nine grandchildren and three great-grandchildren. In addition to his parents he was predeceased by a son, Kelly Allen; two brothers and two sisters. In honor of Edward’s wishes there will not be any visitation or funeral service held. Donations in Edward's memory made to the NB Heart & Stroke Foundation.